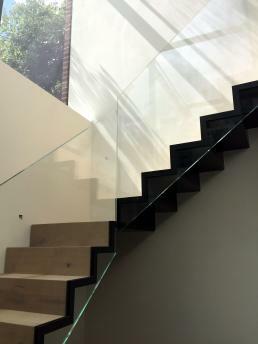 A staircase in a private house in Wimbledon. 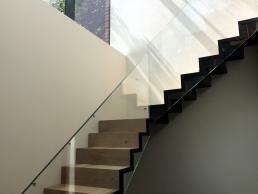 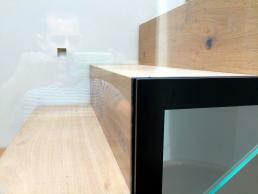 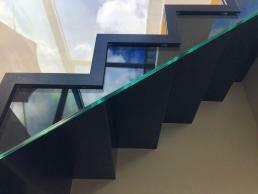 This project has very slender steel treads clad in oak oiled, with hidden fixings supporting a glass balustrade. 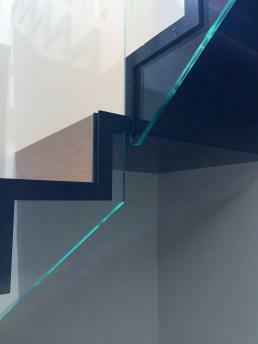 The treads are connected to a steel stringer within the buildup for the wall finishes.